Sponsor The Beijing Report , send a card to a friend! 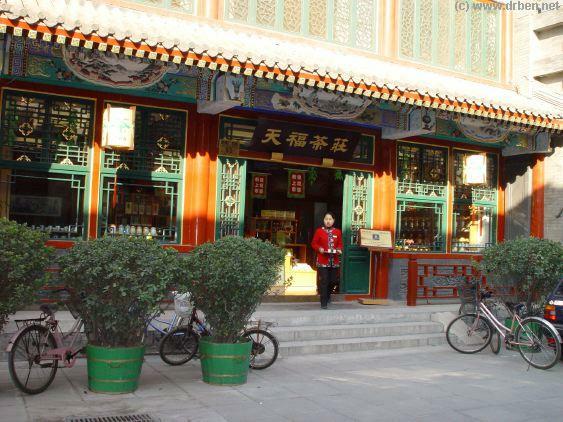 Liu Lichangstreet is an Ancient shopping street now restored to it's old Ming Dynastic Style splendor for commercial and esthetic reasons. 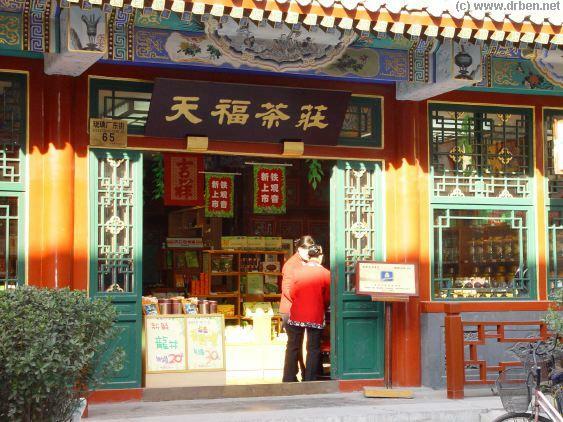 Home to many a interesting store and shop , the Main part of Liu Lichang Culture Street as it is officially known , is taken up by many a line-up of different stores dealing in every truely chinese treasure to find. Colorfully and skillfully painted and crafted the store exteriors are a pleasure to the Eye, the shops themselves are fine places to dwell, browse , wonder and dream. 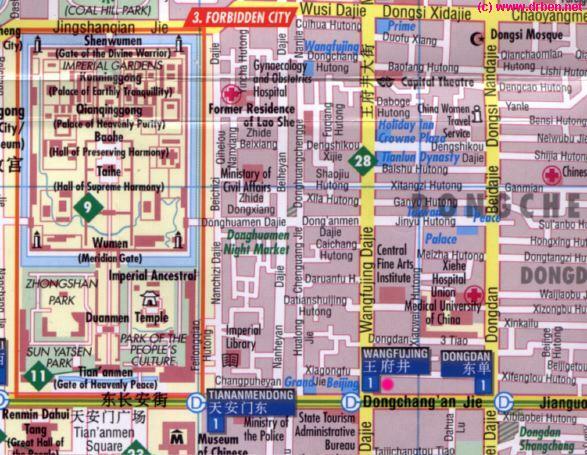 Don't forget Liu Lichang Market at the End of the Street ! 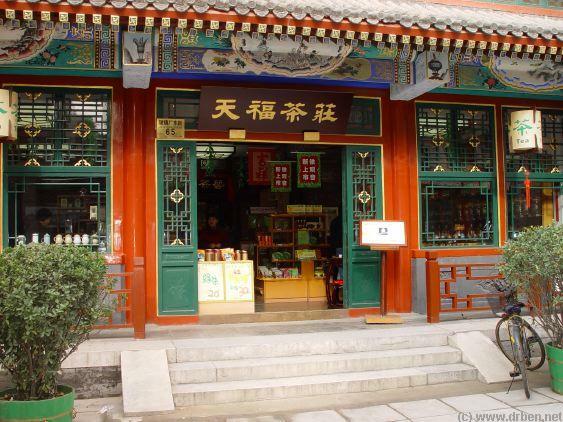 Interesting treasures can be found among these small family stalls. 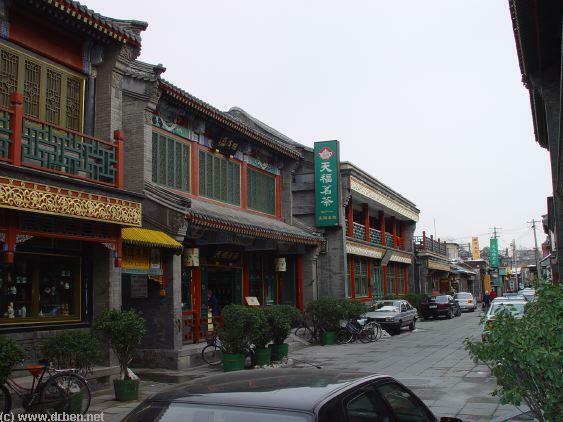 View of Liu Lichang East Street with Little Tibetan Gate and Ten Fu Tea of China Branch. A friendly young staff member presenting Tea greets (just about) every visitor Ten Fu. 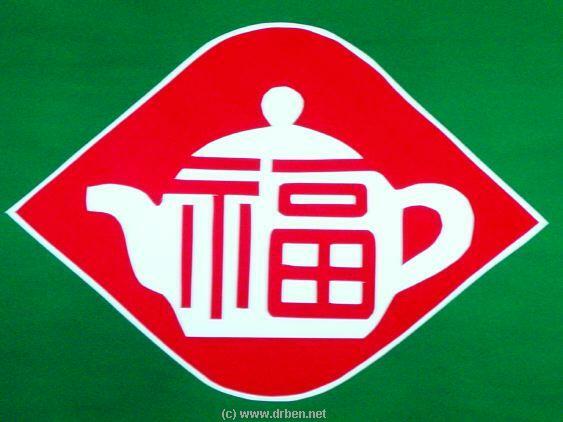 The rich traditionally painted decorations and Ten Fu Tea Liu Lichang Branch a 5 star quality company. 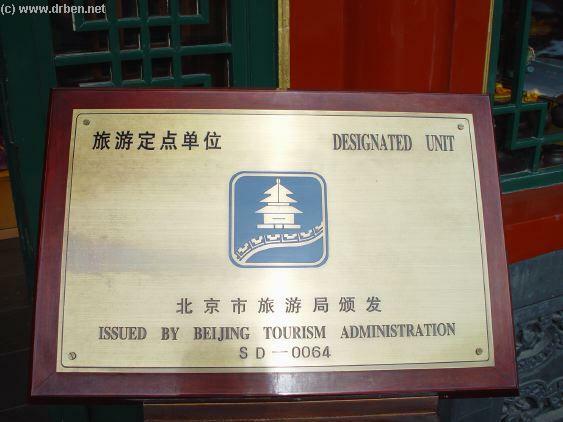 Ten Fu Tea's designation as a quality recommeded store by The Beijing Tourism Adminsitration. No rip offs at such Stores and fixed prices. A View inside the Store.